Lighthouse Beach, Fish Pier & Main Street all nearby! 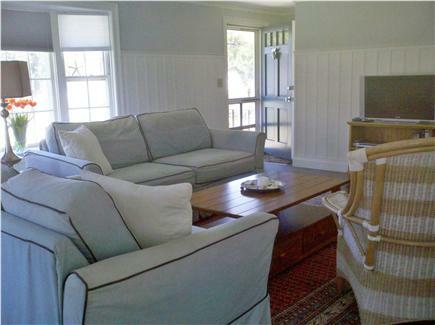 Charming house completely renovated in the perfect location - central to all that Chatham and the Cape have to offer. Enjoy the downtown Main Street, restaurants, beaches, Chatham A's baseball, outdoor concerts and the fishing pier only a short stroll away. When you return for the evening enjoy the patio, grill out or just relax in front of the flat screen TV and watch your favorite movie. There are also bikes for a ride on the bike path or to Light House Beach. The house has updated appliances, washer and dryer, a refrigerator with ice maker, dishwasher and outside shower. 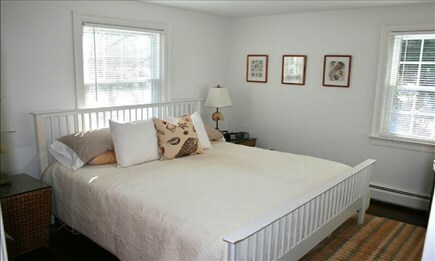 The master bedroom has a king size bed, double closet and master bath with shower. 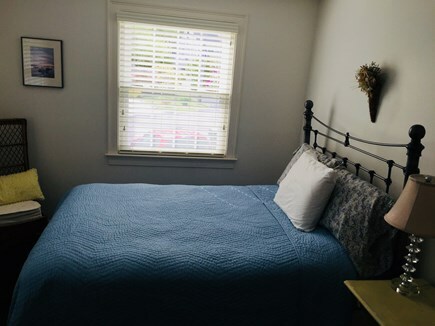 Second and third bedrooms include one double bed and two twin beds, respectively, both with double closets. There is also another full bath with tub and shower. 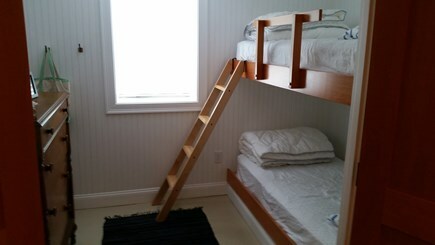 The lower level features a kids bunk room that sleeps 2 in bunk beds. The comfortable living room includes two couches and a flat screen TV while the lower level features a family room with TV and game table. Enjoy your meals (or a game of cards) in the dining room. Or, take in those beautiful Chatham nights outside at the teak patio set with seating for 8, an umbrella, gas grill plus fire pit. We make it easy! 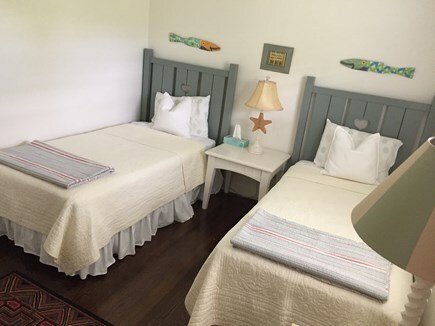 Linens, Towels and Wireless Internet are provided as are beach chairs, cooler and extra bike helmets. The house is on a quiet street great for kids and is in walking distance to everything you would want in Chatham. Additional availability info: Any stays that START prior to July 1, 2019, are EXEMPT from the tax, including the week of 6/30-7/6!. This is a Saturday to Saturday vacation rental. Additional pricing info: Check, Debit & Credit Cards Accepted. Cleaning $180. Refundable Damage Deposit of $400 Required. State and local taxes of 12.45% will apply. What first struck me was how clean this house was. 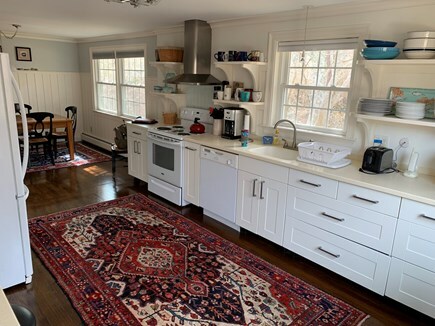 The newness of the kitchen and many of the building details made this home easy to step into. It had all the amenities we needed (I hate having to think to buy or bring trash bags etc). We loved the bike selection and all the games and beach gear lightened our load. It’s in a super quiet neighborhood where we felt easy walking the streets into town. The rooms worked out great for us having a little one to hide off in the basement bunks while everyone else could continue visiting upstairs. I’ve been to tons of chatham rentals and this was up in my top 3 for sure. I do wish it was a little closer to town (bc of said little one). The only suggestion I have would be to change the laundrying of the sheet policy. It’s really hard to get 4 bedroom sheets washed before 10 am departure and we felt the need to be up super early to get it done. I might just bring my own next time to avoid this. We had a beautiful week and loved this house. As someone who picks the house for the whole extended family- you made me look good! We really enjoyed our stay at Diane's property. House was very clean and well stocked. 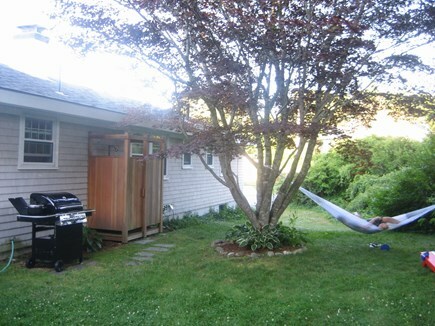 Probably the best stocked house we've rented, and we've rented many times on the Cape. Neighborhood is quiet and friendly. 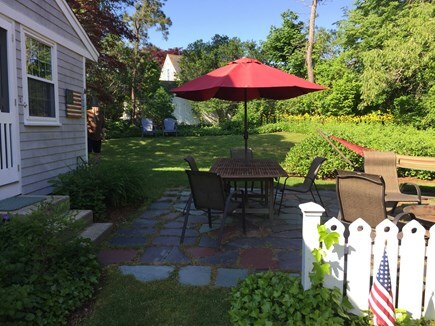 Great location for walking to town, baseball games, Chatham fish pier, etc. Roomy enough for our group of 7. Basement living area was great for the tweens. House does not have a/c and we were there during a very steamy week, though the fans in every room did help. Thanks, Jennifer. Glad your family had a good visit and hope you will return again! Beautiful Beach Home in Chatham! My husband and I had a very relaxing stay here as a brief honeymoon the weekend after our wedding. The home is beautiful, and had everything we could have possibly needed and more. We loved walking through the neighborhood, to the beach, and to main street, as everything was 20 minutes or less walking distance from the house. After the stress of planning our wedding, this was the perfect respite! We would love to come back to Chatham and Diane's beautiful home someday soon. We spent five days in Chatham in June and only wish we could have spent the entire summer or permanently! The town itself is absolutely charming. We felt like we stepped back in time! The town as well as all the homes are so tidy and clean, and flowers were everywhere! Our weather was perfect! There was so much to see and do, and the restaurants were all excellent; so many to choose from. We spent time exploring the town both walking and biking, hiking the beaches, kayaking, watching the fishing boats bring in their daily catch (sea lions enjoying it also and had the best clam strips I've ever had right on the pier!) and hanging out at the rental house. Let me rephrase that...hanging out at "home" because that's how it felt. 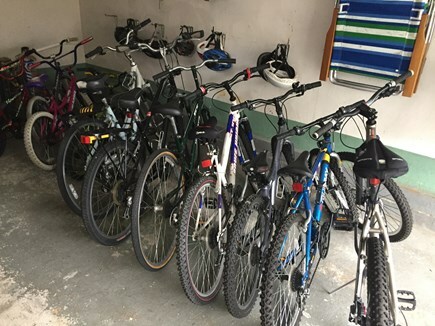 This home is in a great location and easily bikeable to town. It's beautiful and so very cozy. Not old and drab, but new and uplifting. The layout is wonderful and spacious and the colors are tasteful and calm as is all the home furnishings. We are so happy you enjoyed your stay and hope you will return again soon! Thank you. Really enjoyed our stay, what a perfect little get away on the Cape...couldn't be in a better location! This house was a perfect place for seven ladies to stay. 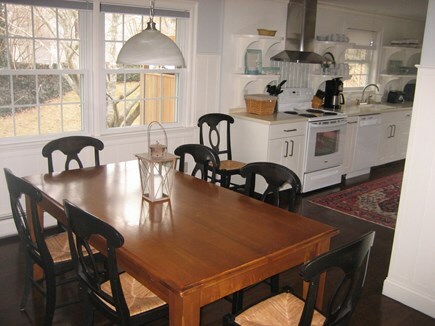 We had plenty of room for all of us to eat at the dinner table, cook and socialize in the family room. There were plenty of beach chairs for us to use. And it was a great location to use as home base as we also traveled to Plymouth and Provincetown for separate day trips. I would definitely visit and stay at this house again! 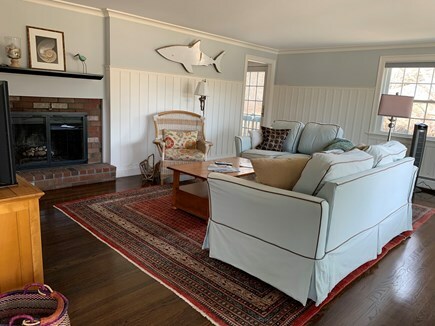 Our family has been visiting Chatham for years and we were excited to find such a fabulous home to enjoy during our own visits to the Cape that we could share with others. Having stayed in all types of rentals, 137 Shane Drive offers a great location plus all the conveniences of home. We hope you will enjoy your stay! Welcome to 137 Shane Drive. We know that packing and travel can be a headache, that's why you'll find much of what you need upon arrival including: Linens, Towels, Beach Chairs, Boogie Boards, Bikes w/Helmets and Wireless Internet. We even start you with the basics - Paper Towels, Toilet Paper, Soap, just so you don't have to bring it all with you or run to the grocery store upon arrival. Chatham, Massachusetts is located at the southeast tip of Cape Cod. If the Cape is viewed as a bent arm, Chatham is at the elbow. To the east is the Atlantic Ocean, to the South is Nantucket Sound, to the north is Pleasant Bay. 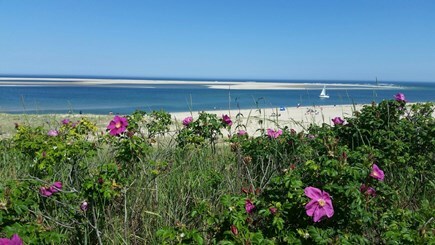 There are many ways to see Chatham and the surrounding Cape Cod towns - on foot, by car, bicycling, flying or boating. The town is flanked by the Sound and Ocean on three sides and dotted with both salt and fresh water ponds throughout. Chatham has so much to offer and see. During the summer months, Chatham offers all of the activities that the Cape is known for - fishing, sailing, kayaking, bird watching, biking, and hiking. You may also decide to lounge on the beach, tee off on the golf course, set sail aboard a seal cruise, or take in a play at the theater. Friday night band concerts downtown are also popular - a reminder of family fun the way it used to be. In the quieter 'shoulder' seasons, Chatham offers festivals and celebrations for the enjoyment of residents and visitors alike. This is the best time of year to enjoy the village with annual events such as the Maritime Festival and Christmas by the Sea. First Night New Year's Eve festivities are fun for all ages and are crowned with a display of fireworks to rival any other.